Effective home remedies to treat migraine and headaches. Headaches and migraines are two of the most common pains that people suffer form and although a headache may be mild and lasts a few hours of migraine is a more serious condition where the pain may even last for days. In most cases common headache is caused by excessive stress,tension and emotional changes but migraine is a more complex situation where the blood vessels of the brain enlarge to release chemicals from the nerve fibers that cause inflammation and hence the severe pain. Here are some effective home remedies to treat migraine and headaches. Mixed in one tablespoon of honey. Wrap a few ice cubes in a clean towel and place it under temples, forehead or the back of your neck for 10 to 15 minutes. Repeat as needed. The anti-inflammatory property of peppermint helps soothe the nerves, plus it has an antispasmodic and calming effects. A study published in the International Journal of Neuroscience in 2008 found that the fragrance of this herb induces the feeling associated with headache relief. You can also massage each of your temples with one drop of peppermint essential oil or combination of peppermint and lavender oils leave it on for at least 20 to 30 minutes, do this a few times a day until you get relief. A 2013 study published in Phytotherapy Research indicates that ginger may prove effective in the treatment of common migraines. Drink ginger tea a few times throughout the day until you get relief. 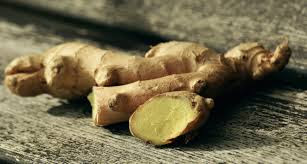 Make sure to drink it at the onset of your headache or simply chewing on a piece of raw ginger root will also help treat the problem and relieve symptoms like nausea and digestive distress . Eating an apple as soon as you experienced the warning signs of a migraine attack can help reduce the problem. 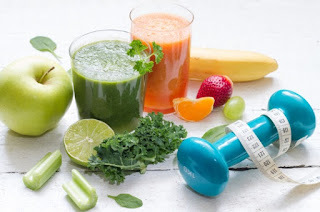 Moreover research suggests that the smell of a green apple can also help reduce the severity of migraine and shorten migraine episodes, especially for those who find a smell pleasing. Massaging the head helps ease migraine headaches as it blocks pain signals sent to the brain. It also boost serotonin activity and stimulates certain serotonin receptors thereby reducing the symptoms as well as frequency of migraines. Gently massage your head with your first two fingers in a circular motion,while massaging keep in mind that there are pressure points at locations like the base of the skull, middle of the forehead and corners of the eyes that when crossed correctly help relieve pain.